We live a plane ride away from family, but this year my mother-in-law is planning to visit for Mother’s Day and my husband and I want to do something special. I’m not known for giving the best gifts. 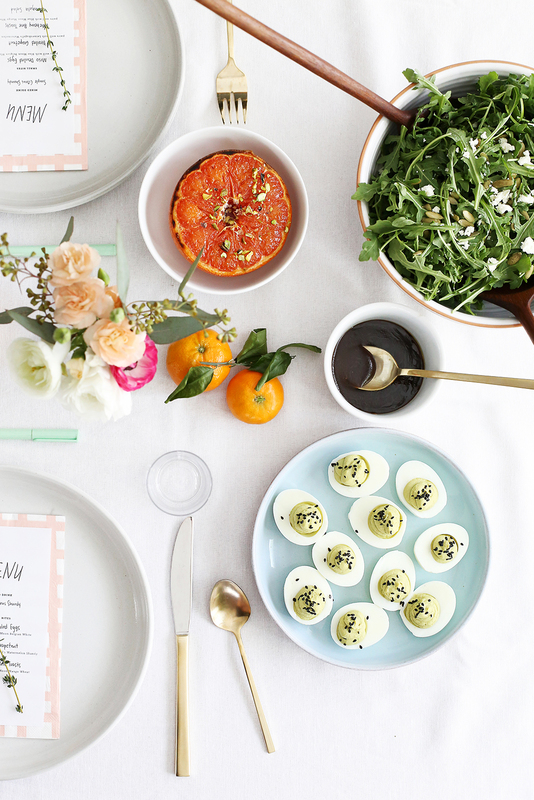 So rather than fretting over it, I’m focusing on something I’m good at—hosting a brunch. 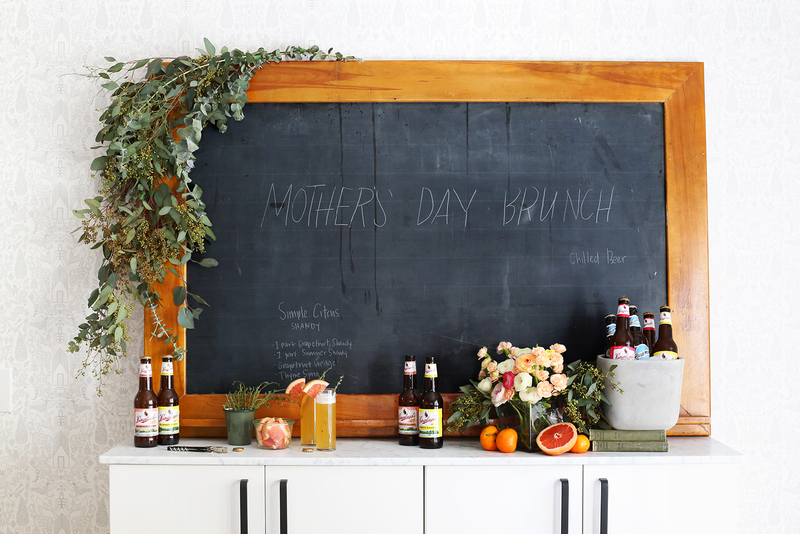 We are decking out the dining room with simple flowers that can be purchased at the grocery store, serving some of my husband’s favorite beers a Simple Citrus Shandy mixed drink, and passing around small bites for the meal. Forethought is a beautiful thing. It’s true what they say—it’s the thought that counts. 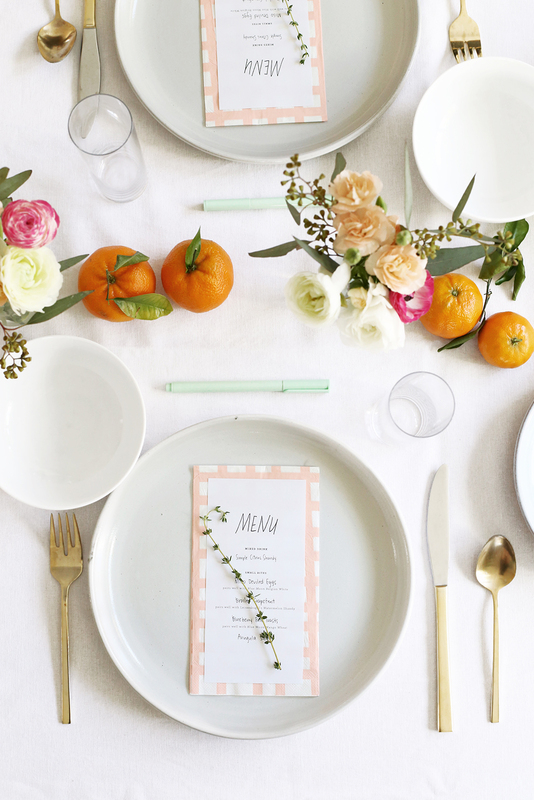 Make a plan for the brunch, starting with the menu. 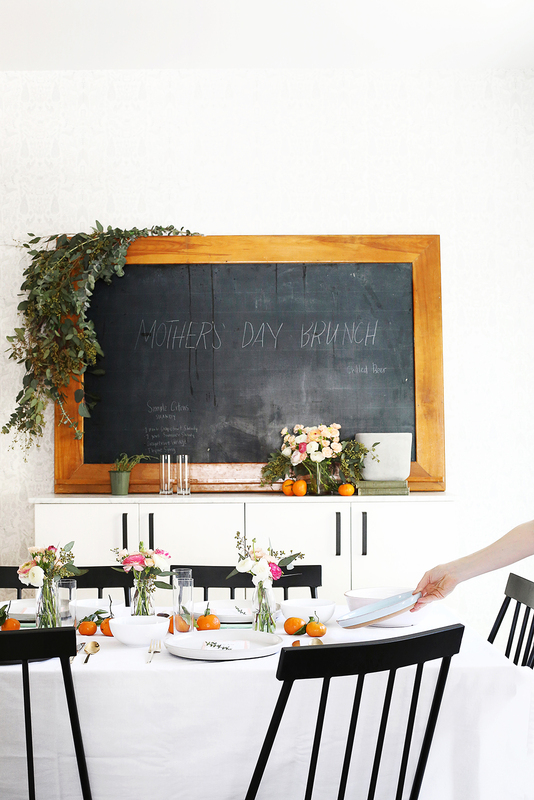 Write it out—whether on a large surface or on individual menus. 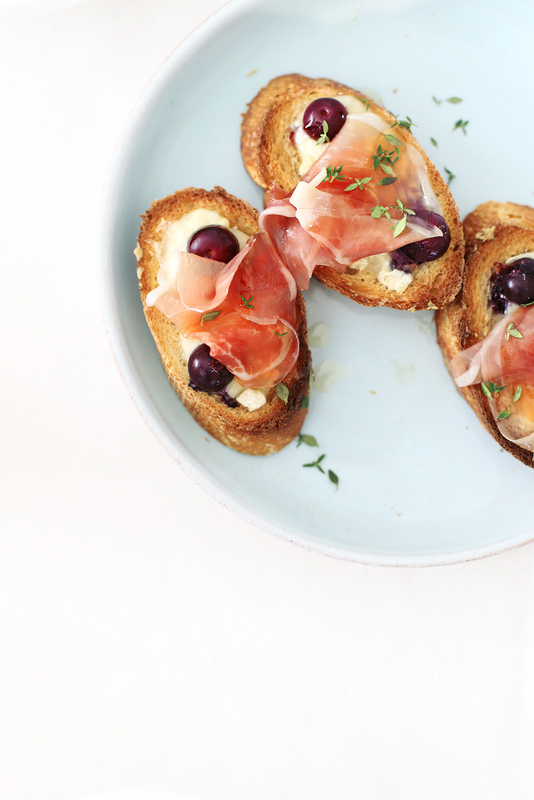 For this menu, we’ll be serving small plates to keep things light and casual. To make it extra special, we are creating a pairing menu to highlight the beers we chose to serve. There’s never enough prep time the morning of a brunch. 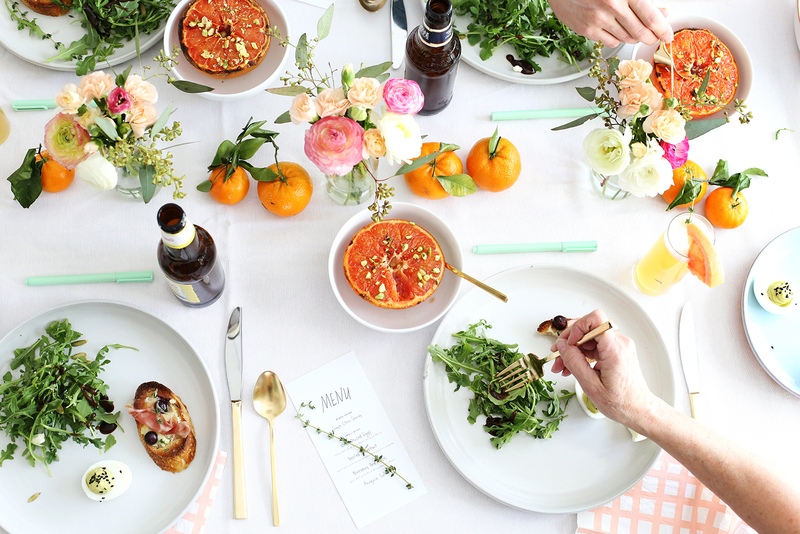 Set the table and arrange flowers the night before. I also like to begin prepping as much of the meal as I can. For this menu, I was able to boil the eggs, make the salad dressing, and chill the beer in advance. Start with a mixed drink. 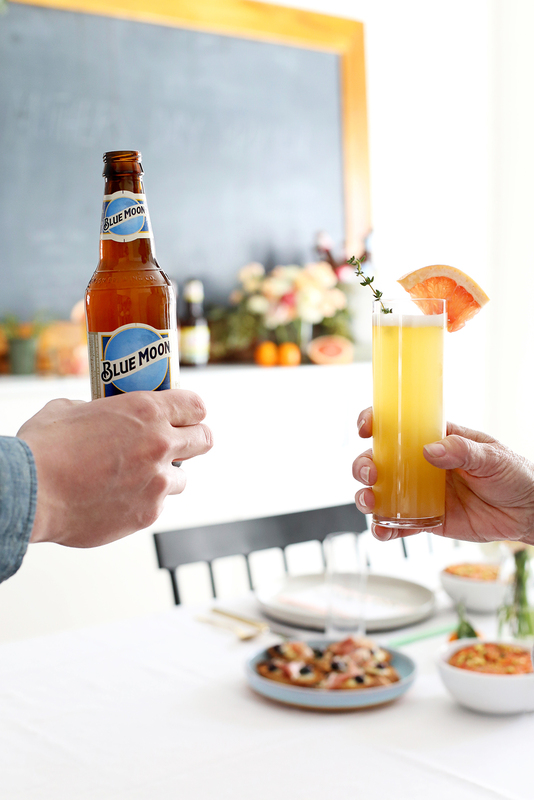 Whether hosting friends or family, it’s always best to put some thought into what drinks you’ll be serving. I like to serve a mixed drink option to make the meal feel special. Mixed drinks at brunch don’t always have to be mimosas. 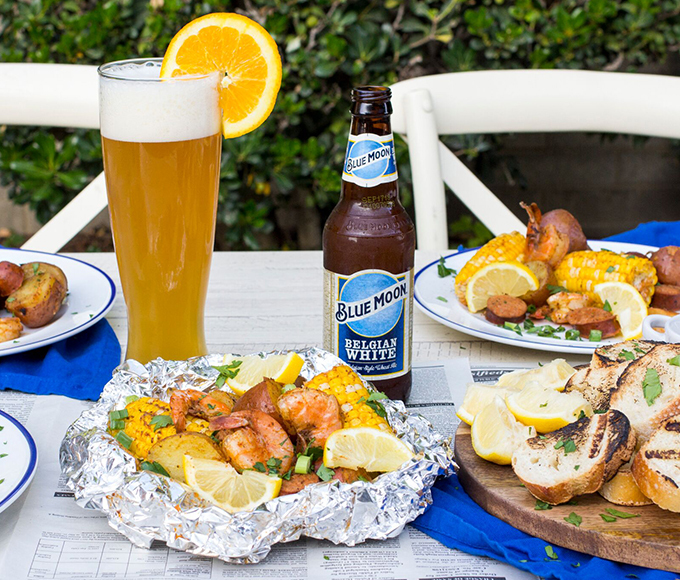 Try experimenting with beer or shandy that is light and refreshing. 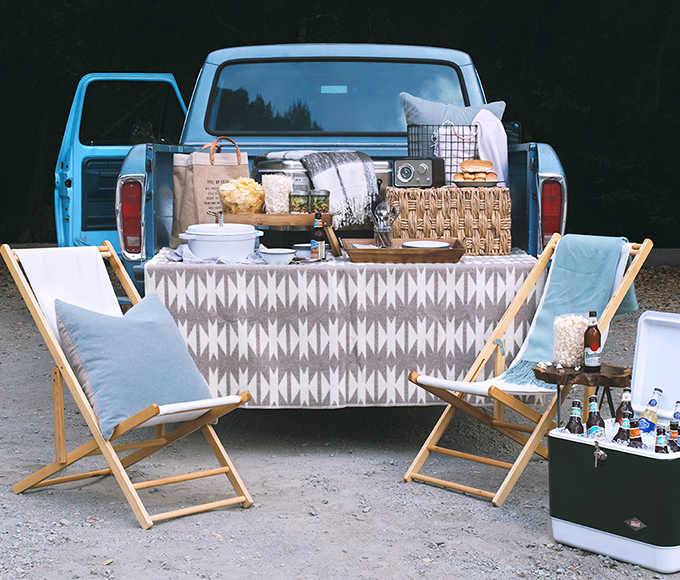 Keep a cooler nearby the bar to give guests other options to enjoy. Coolers aren’t always the prettiest. 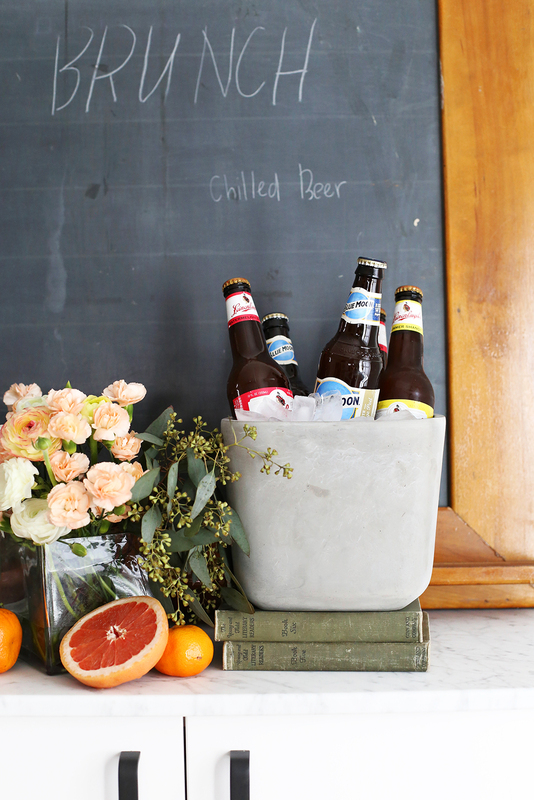 Instead, repurpose a flower vase as a cooler. If needed, line the inside of the cooler with plastic wrap to stop leaks. 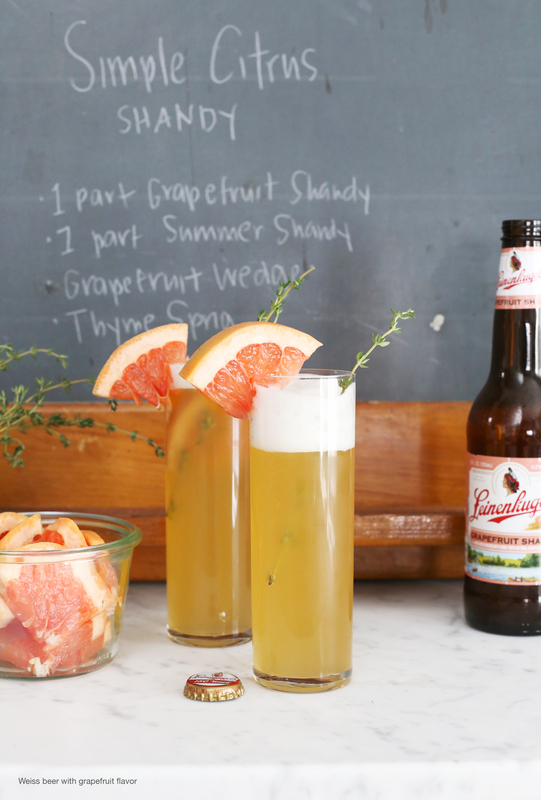 Here’s how to make the Simple Citrus Shandy—1 part Leinenkugel’s Grapefruit Shandy (Weiss beer brewed with grapefruit flavor), 1 part Leinenkugel’s Summer Shandy (Weiss beer brewed with honey and lemonade flavor), 1 wedge of Grapefruit, and a sprig of thyme. Music and food go hand in hand at our house, whether it’s an everyday dinner or a special occasion. For brunch, I like to play the Early Jazz Radio station on Pandora. It gives the ambiance of a French café. 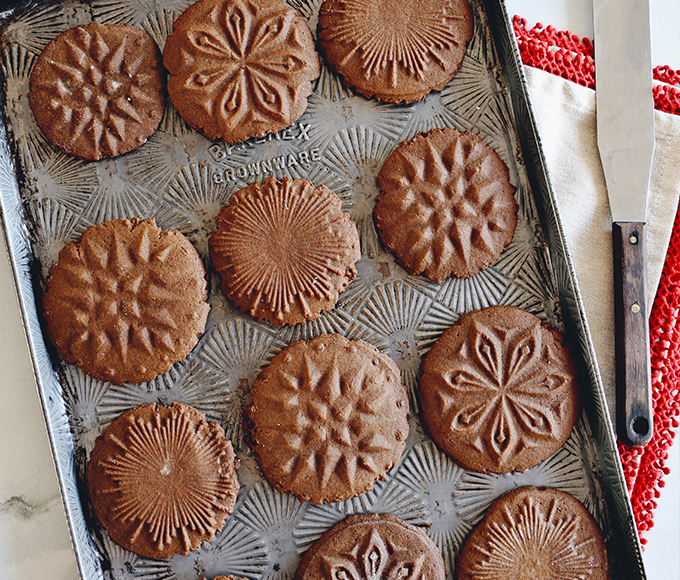 Curate your own playlist around Mom’s favorites for an extra special touch. When serving a group of people, it’s nice to appeal to the salty and sweet eaters. I also like to repeat flavors. In this case, I’m utilizing the grapefruit and thyme from the shandy mixed drink, and repeating them a couple times throughout the menu. Repetition brings balance in both design and food. 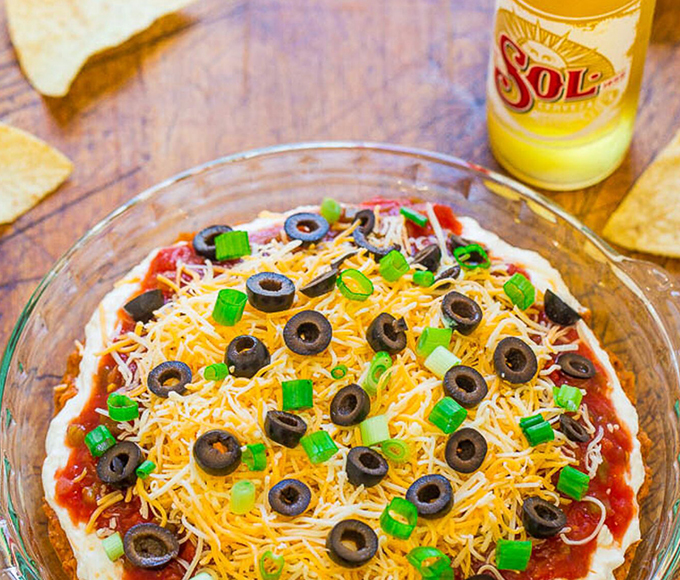 See here for the full recipes of the food I’m featuring. As I mentioned, I’m a horrible gift giver. I prefer to give the gift of memories. 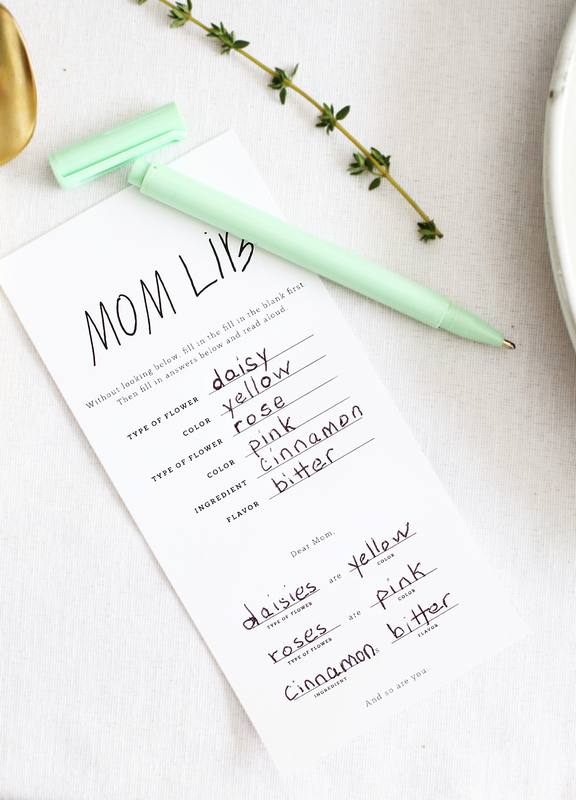 So on the back of the menu card, I’ve added a Mom Lib. Get it? Mad Lib. 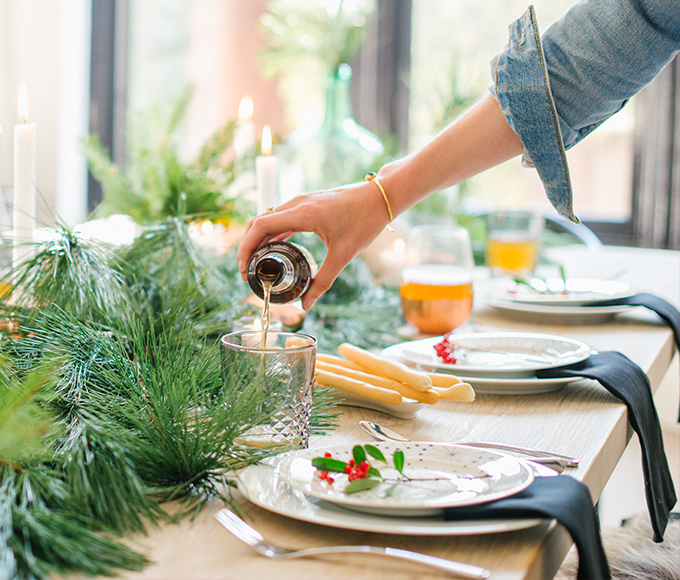 It’s a simple conversation starter and provides plenty of laughs—the best gift.